The 2016 edition of Time to Act was released in connection with Civil Rights Defenders’ annual conference, Defenders’ Days – Empowering Human Rights Defenders at Risk. The magazine gives an overview of the challenges and risks human rights defenders face worldwide as their freedoms are under attack. Furthermore, it summarises Civil Rights Defenders’ work, achievements and impact throughout the world. Read about our proactive initiatives such as the Emergency Fund, the Human Rights Innovation Initiative and Security Trainings for human rights defenders at risk. Among the initiatives in 2015, Civil Rights Defenders developed a Security Management Training which was conducted in Yangon in Myanmar. 2015 was an intriguing year in many ways, not least in Myanmar as millions of people exercised their right to vote. The election took place largely without allegations of fraud, misconduct and violence. A 50-year military rule came to an end, but challenges remain and it is yet to be seen if the new government delivers on human rights commitments. In Cuba, the human rights record is alarming. We draw attention to the inadequate space for the civil society in relation to the implementation of Cuba’s trade agreement with the EU. Time to Act 2016 highlights the work of brave individuals who work under incredibly difficult circumstances and endanger their lives when working to combat impunity and to strengthen the rule of law. In Russia, federal forces commit extrajudicial killings, enforced disappearances, torture and intimidation as tools of oppression. Civil Rights Defenders monitors human rights violations and provides legal aid to victims and their families. Among several other things, the magazine also includes a presentation of this year’s winner of the Civil Rights Defender of the Year Award – Azerbaijani human rights lawyer, Intigam Aliyev. 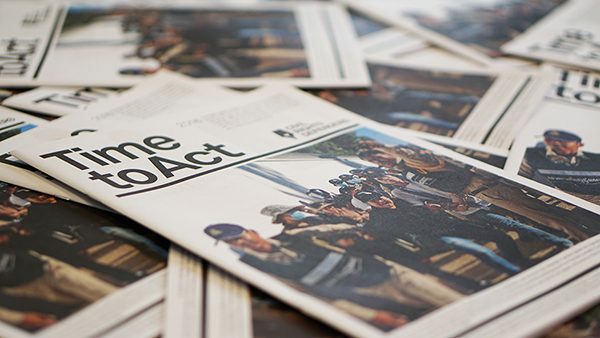 Read the full issue of Time to Act 2016.